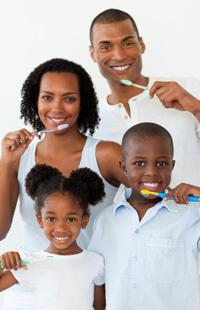 Looking for a family dentistry near Baltimore Md that treats its patients like family and where quality of care is the essence of the practice, this is the right place for you. At Now Dentistry, our goal is to provide you with a range of specialties and dental services under one roof. Our knowledgeable, enthusiastic and talented team of dentists perform even the most advanced dental procedures with precision. Cosmetic services: in-office whitening, custom made bridges and crowns crafted from the best materials, dental implant restorations, veneers and bonding, aesthetic inlays. Endodontic services: root canal treatments. Our office has also been carefully designed to create an environment that is conducive for children. We have a team of the best General dentist in Baltimore to make sure our young clients have a pleasant and comfortable experience. Best in latest technology and patient comfort! 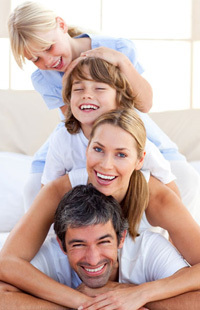 Now Dentistry constantly strives to provide you and your loved ones with a positive dental experience. Our conventional approach to dentistry allows us to explain all options to you to give you a clear understanding of what the recommended treatments will entail. At Now Dentistry, we are proud to keep our patients in the loop and well informed on their dental health. Apart from this, Dr. Elnadi and his team makes sure they leave no stone unturned to keep up with the latest technology to ensure state-of-the-art treatment. If you have any queries regarding our Baltimore MD family dentistry, please feel free to call us at 410-999-1111 or request for an appointment online. We look forward to hearing from you and answering your questions!